Layton criminal defense attorney Joseph Jardine has utilized an aggressive and comprehensive approach to help protect the rights of each client. Alex Wubbels doesn’t consider herself a hero. She was simply doing her job. But there are plenty of people around the country who would respectfully disagree. Back on July 6th, the University Hospital nurse made national headlines after she was arrested by a Salt Lake City police officer for refusing to draw blood from an unconscious patient. The incident was captured on video and showed Detective Jeff Payne forcibly detaining Wubbels. The arrest drew nationwide outrage after police released the body camera footage on August 31. Her attorney Karra Porter announced there will be no lawsuit after Wubbels agreed to accept a $500,000 settlement. Wubbels announced she will use a portion of the money to help people obtain police body camera of themselves at no cost. Police officers have an extremely difficult job. They are often placed in stressful and life-threatening situations on a daily basis. Although most law enforcement officers conduct themselves in a professional manner, there are others who often engage in abusive practices. Police body cameras serve several important purposes. They hold police officers accountable for their actions to both their department and to the general public. When a person knows they are on camera, they will generally be on their best behavior. But that is not always the case. Recently, the Baltimore Police Department came under fire after an officer was caught on video planting evidence at a crime scene. The officer had mistakenly thought the camera was turned off. In the case of Alex Wubbels, police body camera video uncovered some of the abuses and even ignorance displayed by some officers on duty. Salt Lake City Police Detective Jeff Payne wanted to draw blood from an unconscious patient who was involved in a motor vehicle accident earlier that day. The patient was not under arrest. Payne did not have a warrant or consent from the patient. Wubbels stood firm and did her job by protecting the rights of the patient. Over the years, police body camera video has provided plenty of helpful evidence to those who have been wrongfully arrested. It also has become a valuable tool for officers to learn from past mistakes or to even improve their techniques while on the job. 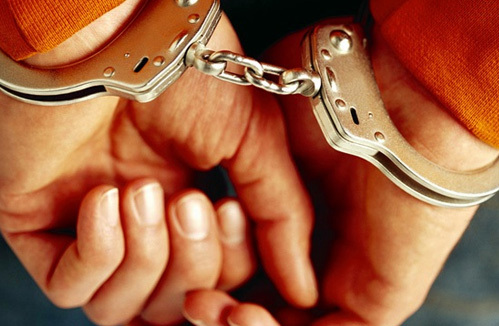 Many people who face criminal charges do not properly understand their rights. In far too many instances, some police officers have been known to take advantage of these situations. It only takes one arrest to ruin your future. Whether you have been accused of a violent crime, drug crime or theft crime, it is important to fight these charges as quickly and aggressively as possible. Over the years, Farmington criminal defense attorney Joseph Jardine has utilized an aggressive and comprehensive approach to help protect the rights of each client. It is part of his commitment to always place clients in the best position to succeed. To learn more contact Jardine Law Offices, P.C. in Layton and schedule a consultation to discuss your case.